Don’t let go! 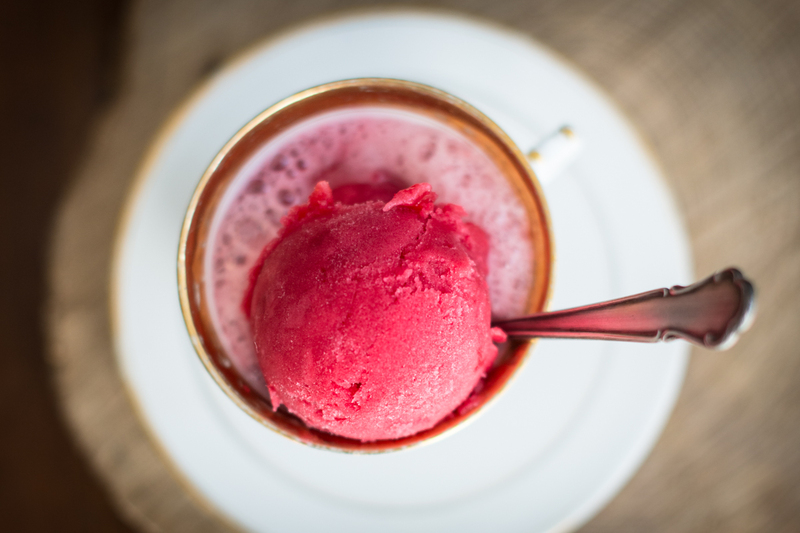 And treat yourself to a sorbet! 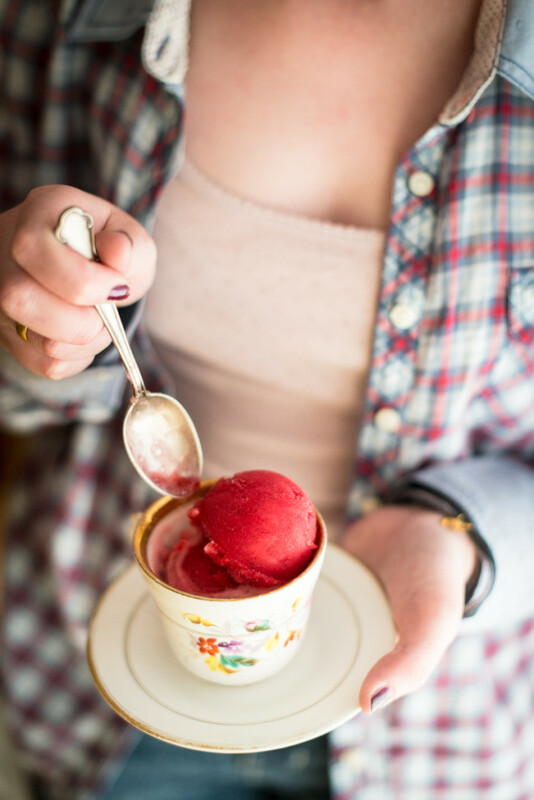 … and treat yourself to a sorbet from time to time! You deserve it. 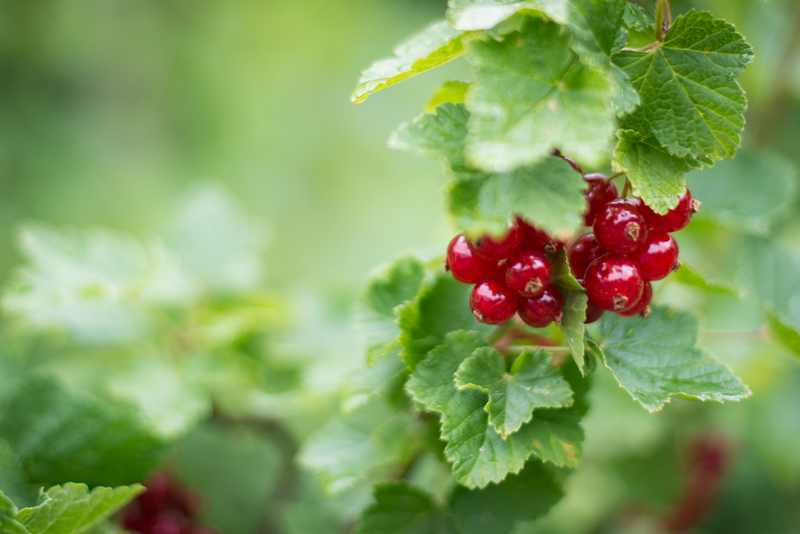 Put the red currants with the sugar, the syrup, the salt and the water in a pot. Bring it to a boil and let it gently cook under medium heat until all the berries broke open and the liquid is bright red. Pour it through a sieve and use a spoon to press all of the liquid out. Let it cool down to room temperature and if you are patient enough put it into the fridge for an additional hour or more. Give the mixture into an ice cream maker and churn according to the producer’s advice or put it into a freezer for a few hours. Divide the sorbet into 1-6 bowls, pour a little bit of bitter lemon over it and enjoy it in the cooling evening heat under a pale blue sky.